Firstly I just wanted to say a huge thank you for all the support I received on my Tips For Living With A Chronic Illness post. It was probably the scariest post I have ever written, as I usually don’t like people knowing that I am sick. But I wanted to be able to help others going through the same thing and response I got was truly heartwarming! So I decided to push past the fear and continue to share what advice I have on Chronic Illness. But this time for people wanting to support someone with a chronic illness. I know it can be so hard to know the right things to say or do sometimes. Take the time to understand the Ins and Outs of their Illness. Like how it affects them, what medicine they may be taking and what it does, if they have any food restrictions, what happens during flare-ups and anything that may trigger it etc… Not only will it help you to support them and understand more of what is happening to them, but it will also help the person to feel like someone really cares and be able to communicate better about how they are feeling. When you’re sick It Is so easy to shut off from the world, without even noticing! So taking the time to text or call your friend to remind them that you are there for them is so helpful. 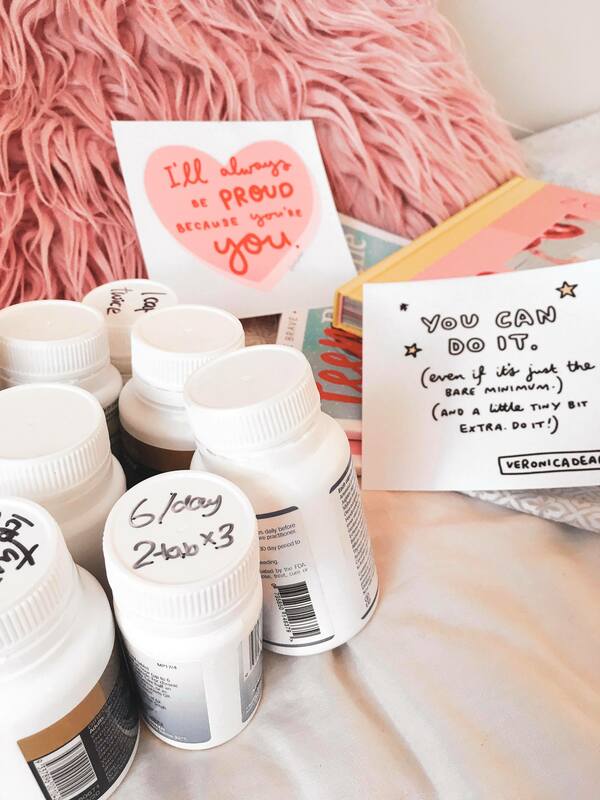 Chronic Illness can be incredibly lonely, so something as simple as a text can make someone’s day. You may not be able to relate to how they are feeling or what they’re going through. But just being there to listen can help a person feel heard, especially in the medical industry so many patients become frustrated as they feel as though they aren’t being listened to or taken seriously. Reminding them you are there to listen and want to hear how they are feeling. I know personally, I don’t always talk about my Illness as I feel as though people don’t want to hear about it. So when I had people tell me that they wanted to be there for me and listen to what I had to say, I finally felt ok to express how I was truly feeling. Which is so important as chronic Illness not only affects your physical health but your mental health as well. Chronic Illness is unpredictable, some days you can be managing ok and others you can barely leave your bed. So if your friend cancels last minute, has to leave early or simply can’t do an activity most people can. DO NOT make them feel bad about it. As it would be hurting them enough knowing that their life is affected so much by the Illness. Going along with being understanding, being flexible with your plans and trying to accommodate to what the person can actually do. I know for me I can’t do a lot of the things I used to be able to. So I find low energy activities like watching movie nights, playing board games, doing makeup, small walks on the beach and even just sitting and chatting, much easier to manage on the days I’m really struggling. A huge pet peeve for anyone with a Chronic Illness is when people say things like “I hope you get better soon!”. Although they may mean well by saying that, the reality is it usually ends in frustration for the person with the illness. Instead, try using positive encouragement on how the person is dealing with the illness, they will find it much more comforting. I cannot stress this point enough! Chronic Illness does not define a person. They are still themselves and treating them differently or like they are fragile. Will only make them feel worse, Illness does not make a person weak. If anything it makes them stronger as they have to have the strength and courage to deal with it on a daily basis. Being aware that they probably have limitations, be there to lend a hand if asked. But treat them as you would any other friend that wasn’t sick. Just keep in mind that every person with a Chronic Illness is different, so what may work for some may not for others. But I hope this post was helpful for anyone trying to figure out, how they can support someone living with a Chronic Illness. If there are any other posts on the topic that you would like me to do please let me know! I really want to help bring more awareness to it. Aww thank you, it definitely was super scary at first but the support and difference I see from doing it make it more than worth a few nerves!